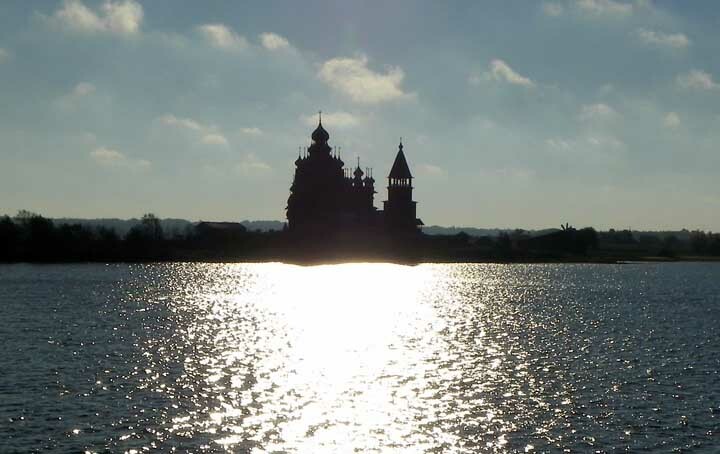 Kizhi is one of the first open-air museums in Russia, open to the public on the island in 1951. 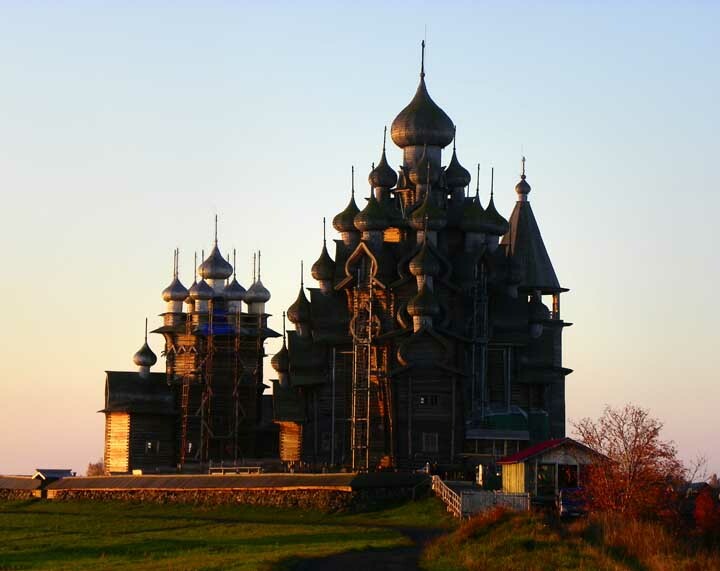 It currently contains about 89 wooden constructions as of 2010, the most famous of which is the Kizhi Pogost which was included in the UNESCO World Heritage list in 1990. 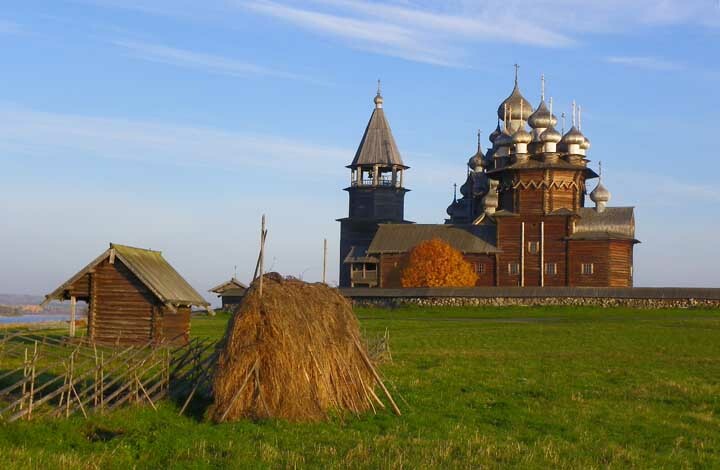 Pogost: 15th-16th centuries pogosts were small settlements with a church and a graveyard, like Kizhi Pogost. 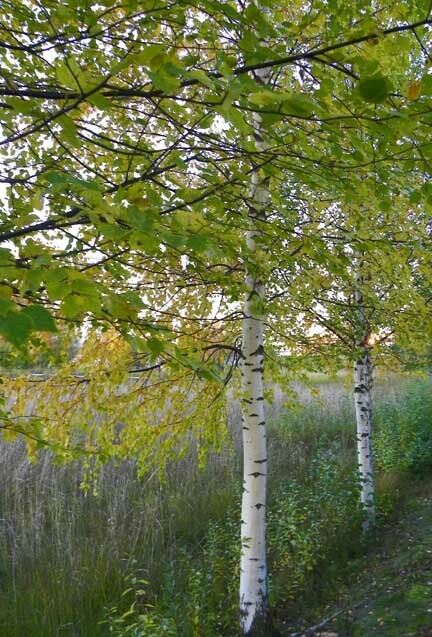 Many of the trees in Russia are birch trees. 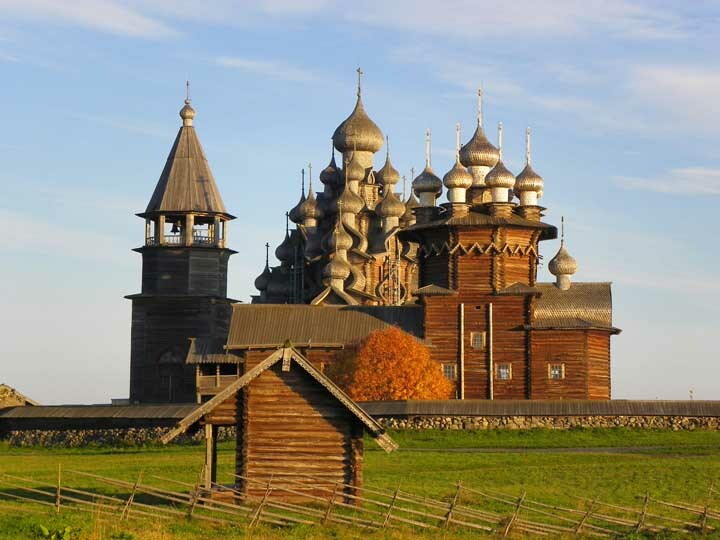 The church domes are made from aspen trees. One of the main differences between the two types of trees are the leaves. Also, birch trees are stronger trees than aspens, and are capable of withstanding drier conditions.